2016 Excellence in Graduate Teaching Award – College of Veterinary Medicine, The Ohio State University. 2016 Excellence in Teaching Award. Class of 2018 (one of 4 finalists for the Pfizer Norden award)- College of Veterinary Medicine. The Ohio State University College of Veterinary Medicine, Columbus, OH, United States. 2013 Excellence in Graduate Teaching Award – College of Veterinary Medicine, The Ohio State University. 2013 Major Advisor to Paula Martin Vaquero; recipient of the Outstanding Teacher Award of the SCAVMA - Student Chapter of the American Veterinary Medical Association. 2013 Major Advisor to Juliet Armstrong - Winner of the Basic Research Award. 2013 OSU College of Veterinary Medicine Research Day. 2013 Major advisor to Paula Martin Vaquero; winner of the 2013 Knecht Resident ACVIM Award. 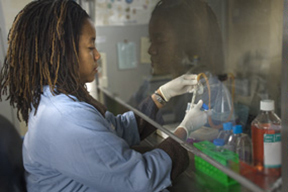 2013 Major Advisor to Juliet Armstrong; Gertrude Hoeger Biomedical Research Award. 2012 Major advisor to Kari Foss; winner of the 2012 Knecht Resident ACVIM Award. 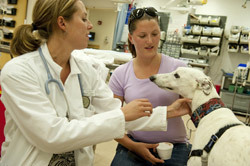 2011 Pfizer Norden Distinguished Teacher Award - College of Veterinary Medicine. The Ohio State University College of Veterinary Medicine, Columbus, OH, United States. 2010 - Excellence in Teaching Award – Class of 2011. College of Veterinary Medicine, The Ohio State University. 2010 - Honorary Class President (equivalent to Norden Teaching Award) – Class of 2010. Federal University of Paraná, Brazil. 2009 - Name of the Graduating Class (second highest teaching award) – Class of 2009. Federal University of Paraná, Brazil. 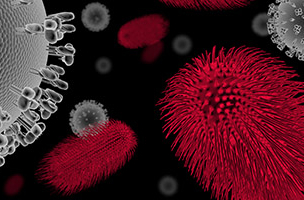 2006 - 1st Prize Ph.D. Poster Category - Graduate Student Appreciation Day - Ontario Veterinary College. 2006 - 2nd Prize Ph.D. Oral presentation Category – Graduate Student Appreciation Day - Ontario Veterinary College. 2006 - Elizabeth Holdsworth Scholarship – University of Guelph. 2005 - Vetoquinol Scholarship in Geriatrics in Companion Animals. Ontario Veterinary College - University of Guelph. 2005 - Laforet Research Assistantship – Single recipient. University of Guelph. 2005 - Biomedical Sciences Graduate Research Assistantship Award – University of Guelph. 2005 - Best Neurology Research Abstract – American College of Veterinary Internal Medicine - ACVIM. 2005-2006 - Ontario Graduate Scholarship – Awarded to the top 12 international students in Biological and Medical sciences of the province. Ministry of Training and Universities, Ontario, Canada. 2005 - University Graduate Scholarship – University of Guelph. 2004 - University of Guelph Entrance Scholarship – University of Guelph. 2004 - University Graduate Scholarship – University of Guelph. 2004 - Pfizer Graduate Student Award – University of Guelph. 2003 - Kenneth & June Bone Memorial Scholarship – Presented to the graduate student with the best academic and research performance pursuing studies in companion animals – University of Guelph. 2002 - Laforet Research Assistantship – Co-recipient recipient. University of Guelph. 2003 - Kon-Tiki Atkins Scholarship – University of Guelph. 2003 - Ontario Veterinary College Graduate Student Association Travel Award – University of Guelph. 2002-2005 Doctorate studies scholarship – CNPq – National Scientific Research Council of Brazil. 2002 - Doug and Esther Ormond Scholarship for Parents – University of Guelph. 2002 - University Graduate Scholarship – University of Guelph. 2001 - Honorary Class President – Graduating class of Veterinary Medicine. Federal University of Paraná, Palotina, PR, Brazil. 2000 - Professor of the 4th Year – Graduating class of Veterinary Medicine. Federal University of Paraná, Palotina, PR, Brazil. 1999 - Honorary Class President – Graduating class of Veterinary Medicine. Federal University of Paraná, Palotina, PR, Brazil. 1996-1997 Master studies scholarship - CNPq – National Scientific Research Council of Brazil. 1993 - Scientific initiation scholarship – CNPq – National Scientific Research Council of Brazil.